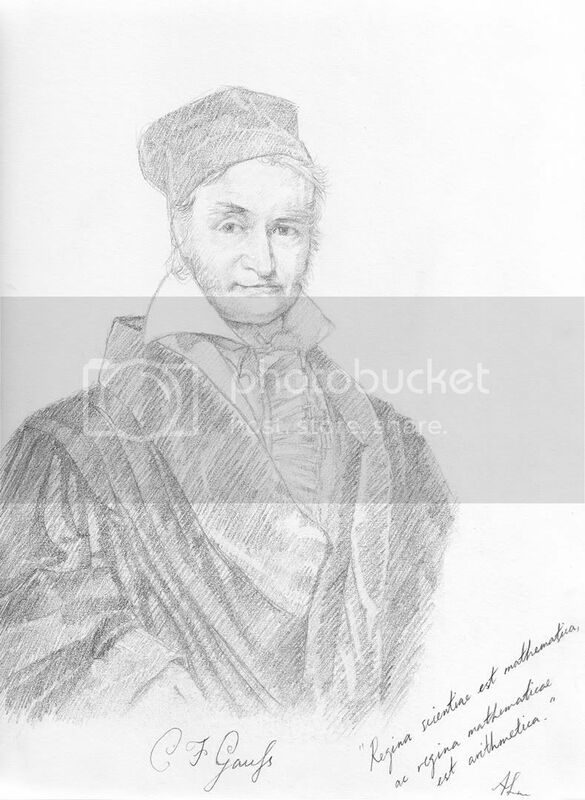 This is another dedication item for the 231st Anniversarius Dedicatur Carolo Frederico Gauss, on the commemoration of Gauss' birthday, April 30, 1777 (he died on February 23, 1855), and also the last part of the series of the three greatest mathematicians that I delayed for this. This sketch was done directly off a copy of the Jensen painting, but I can't remember whose copy it was--all I know is that the original was drawn by Jensen. But because I liked this sketch so much, it ended up going all over the design for this event and on some avatars and other graphics. 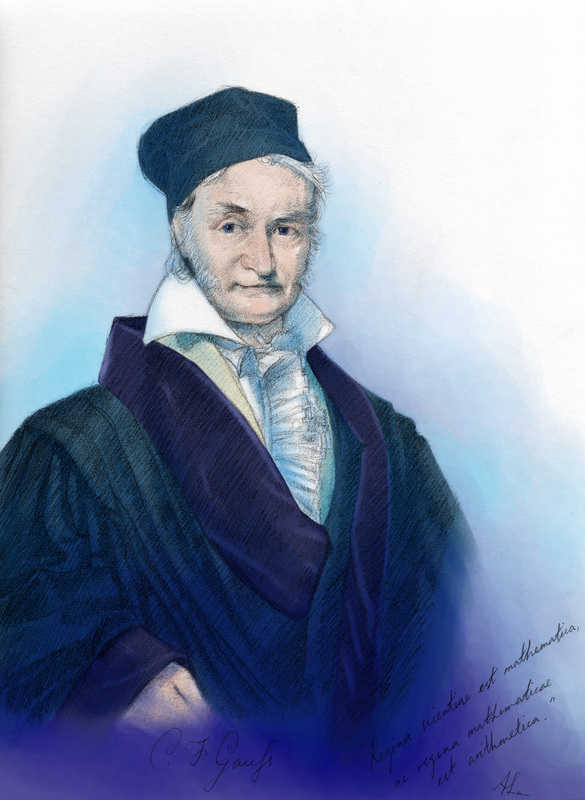 I have once again written another of Gauss' insightful words in Latin, "Regina scientiae est mathematica, ac regina mathematicae est arithmetica." --"Mathematics is the queen of science, and arithmetic, the queen of mathematics."